1. This Kate Spade water bottle made my water drinking go up 10 points. I saw this, I had to have it. I will eventually own every color…but that is obsessive and unnecessary, so for now, we are sticking to this color. 2. 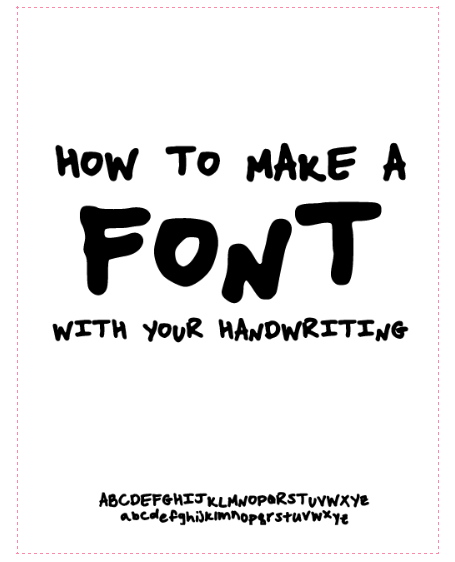 I am loving this post by Carly from The College Prepster, she tells us how to make a handwritten font, how cool is that!? I am a font addict, probably like any other blogger. There is something about the font we use that pulls everything together…it can make or break your pictures, posts, blog, etc. I think it's fun to have your own handwriting on some things; it gives the readers a better idea of who you are. Love it! 3. Essie's new spring collection is out! 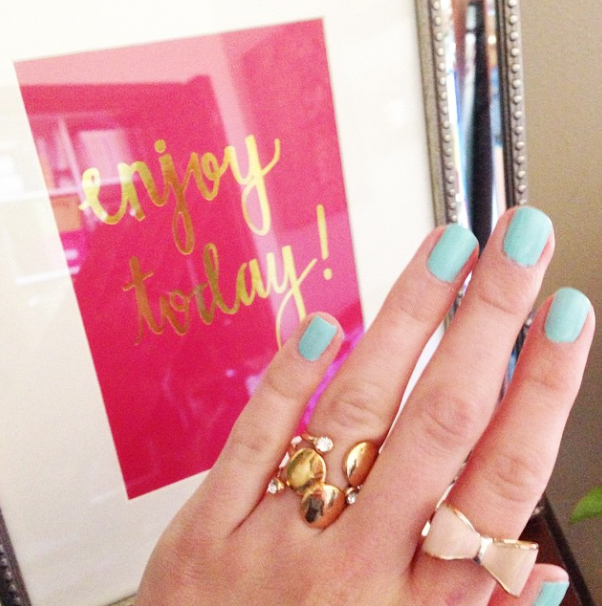 I have been wearing "blossom dandy" all week and it is the perfect nail color to transition into spring. Have you tried a new spring nail color yet? Any recommendations? 4. 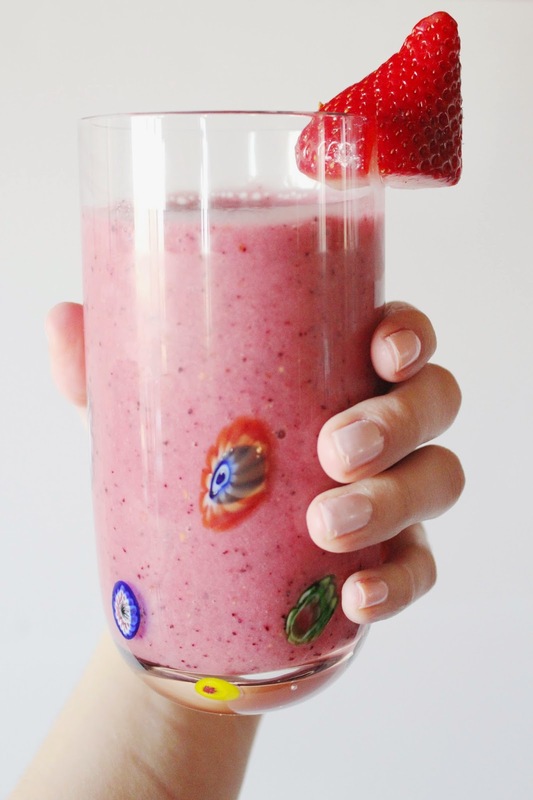 Did you catch my recipe for a no-fail, low-cal, fruit smoothie? I have been drinking one almost every day this week; I want to keep nourishing my body since it's in overdrive with my crazy work schedule. 5. Since I am preparing for my trip I have been on the search for the perfect carry on bag. 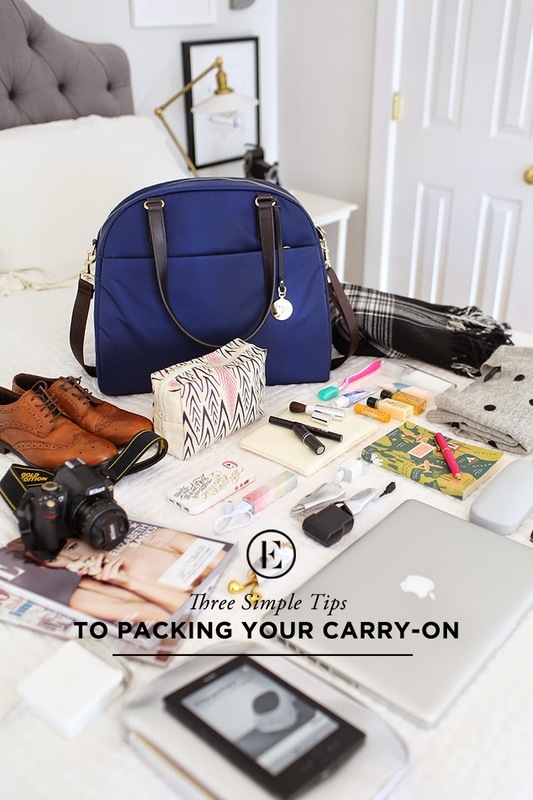 This post by The Everygirl was great inspiration but I couldn't justify spending more on a bag than I did on my plane ticket…never happening. Until I find the perfect bag this post will just keep reminding me to look harder!